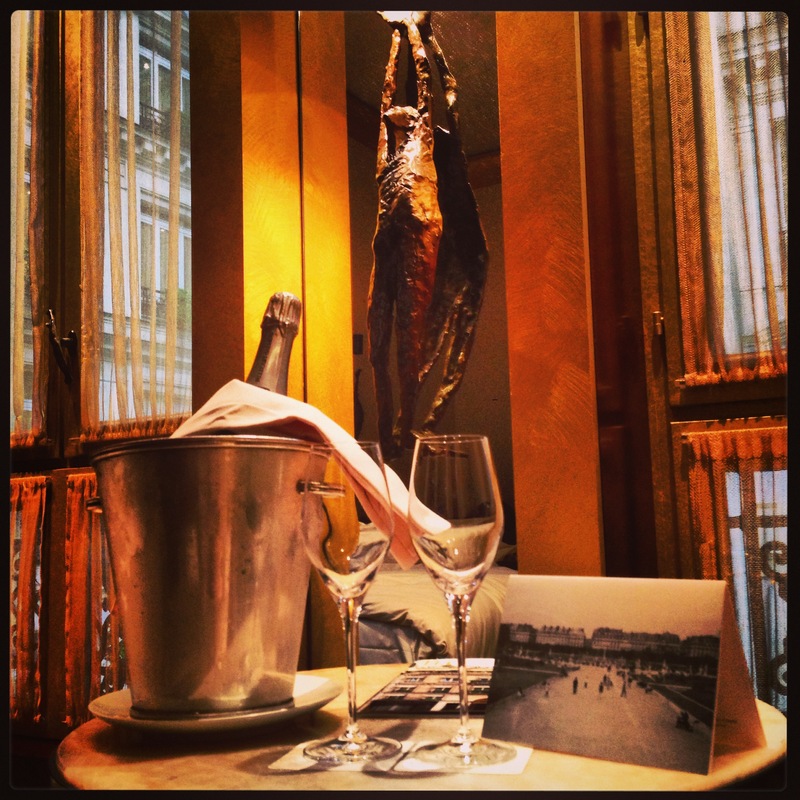 Paris –ah, the City of Light!– how romantic, how charming, how chic! –Yes, our first-ever visit to Paris was all that, but in hindsight, I’m left with a perspective a little more rough around the edges than what I initially imagined. 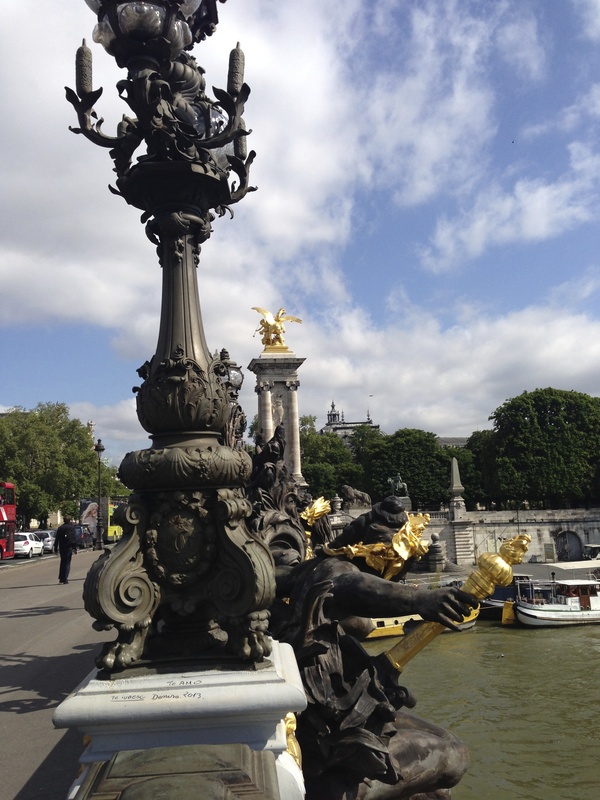 Taking in Paris reminded me of my first time visiting New York City: it’s not really a relaxing vacation, it’s WORK. What I mean is, to get around on the subway to all the important things there are to see & wait in line to see them, to walk a mile here & there, to get up early & beat the crowds, to scale a few flights of stairs, to get frustratingly lost in the Paris metro system…it really takes it out of you. But of course, the beautiful part is: it’s all worth it. Despite how chilled I felt in the rain, how much my feet hurt, how claustrophobic the tourist crowds started to feel; I was filled up & reenergized again by the art, the food, and the gilded luxury of it all. 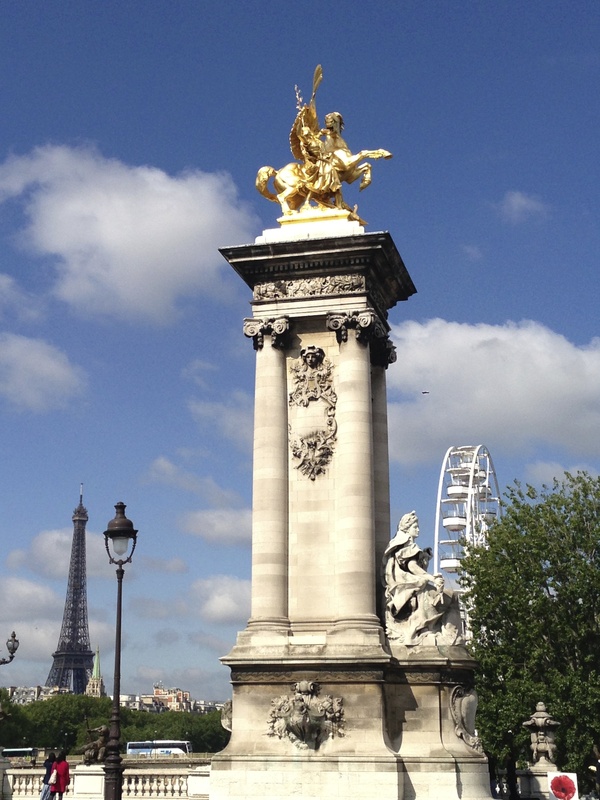 On my first day in Paris, I got the inclination that this is the place where the world’s treasures are kept. –All those golden angels with swords on horses have got to be guarding something special, no? 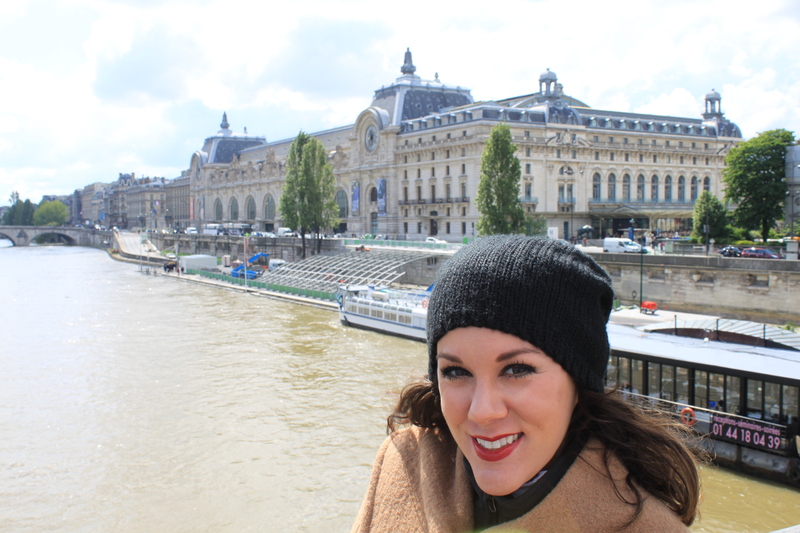 Paris was unseasonably cold for late-May — it was in the upper 40s throughout our stay. Granted, there were some pretty days with sunshine and 60-degree temps, but those cold, drizzly days left their impression. 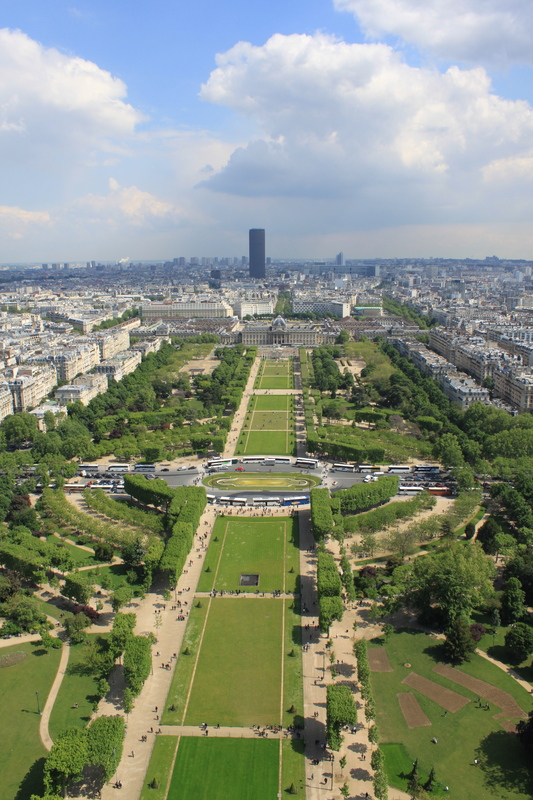 Even though we didn’t get to bask in sunlight among flowers in the Jardin de Luxembourg (as my fairy-tale tendencies would’ve leaned), I really feel as though we got to see everything we wanted to see. 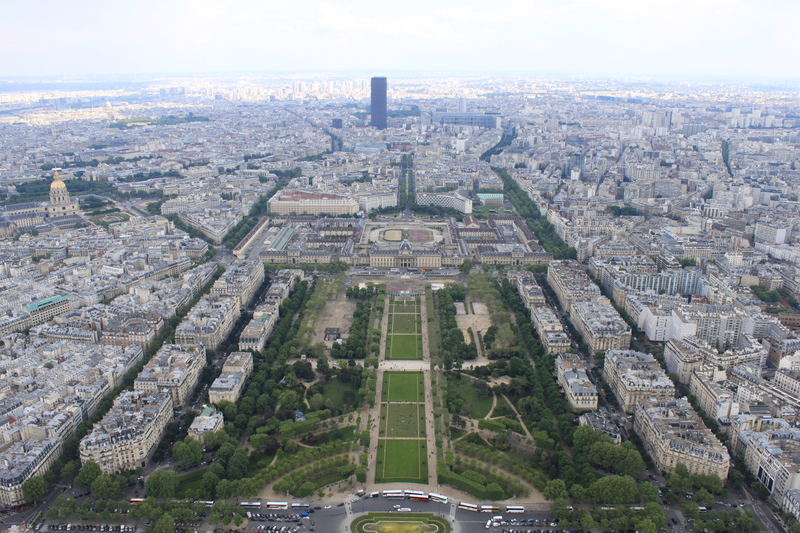 Thankfully, we were able to make it to all the top tourist attractions: The Louvre, the Eiffel Tower, saw Notre Dame Cathedral & Sacre Coeur, visited the Palace of Versailles, the Montmarte area, Vendome, Arc de Triomphe, Moulin Rouge, walked along the Champs-Elysees, etc. 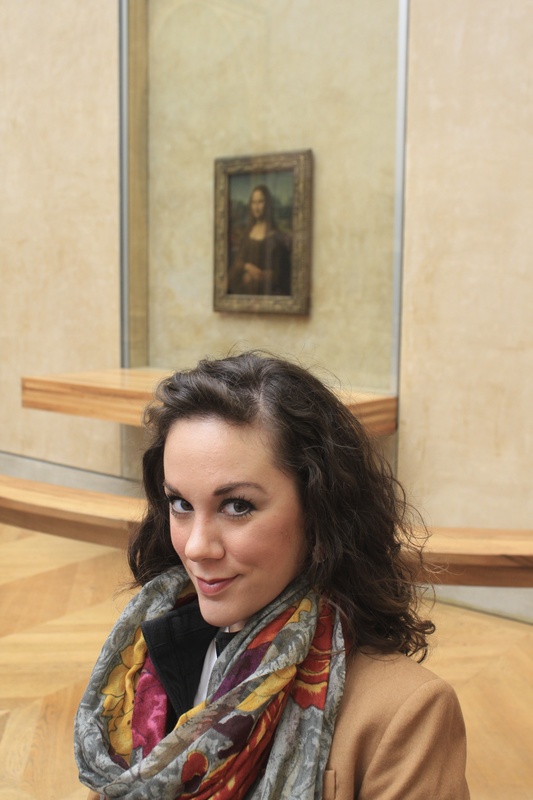 Of all these destinations, my end-all be-all FAVORITE place to visit was the Musee d’Orsay. Housing the world’s largest collection of Impressionist & post-Impressionist paintings, this museum is amazing — I liked it better than the Louvre & was astounded by the caliber of the pieces. Remember when I mentioned that Paris felt like it was a place where treasures are kept? –Well, this museum has got the motherload: Monet, Renoir, Cezanne, Van Gogh, you-name-it. These were paintings from the textbooks right in front of my very eyes. Some of my most jaw-dropping “it’s so beautiful to see in real life!” works were James McNeill Whistler‘s Whistler’s Mother, Vincent van Gogh‘s Starry Night Over the Rhone, and Claude Monet’s Study of a Figure Outdoors: Woman with a Parasol, facing left. 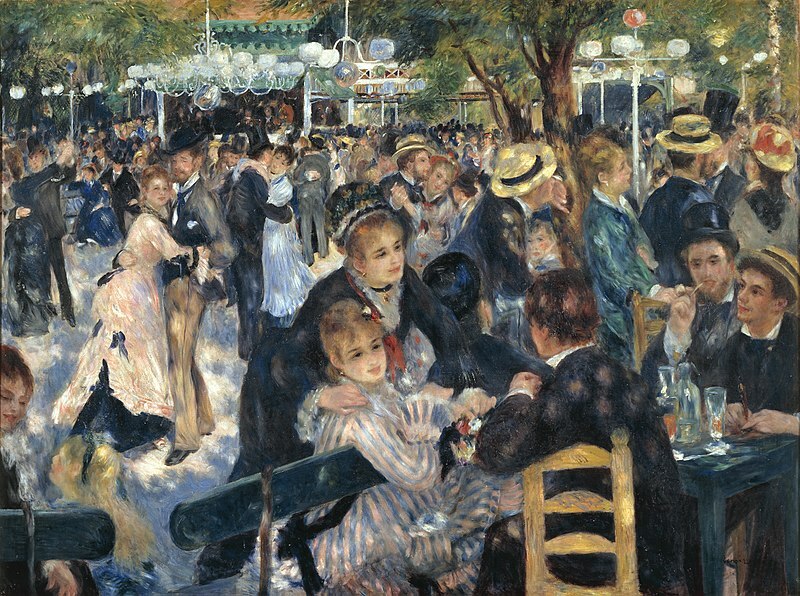 But, hands-down, my favorite piece there is Pierre-Auguste Renoir‘s Bal du moulin de la Galette. Now, Renoir is not my favorite Impressionist by any means (that distinction is held by Monet, of course) but you would not believe the splendor of this piece in real-life: how the scale makes you feel as though you’re right there…say, about to sit down at the table across from them; how the artist created light perfectly filtered through leaves & making the rays dance over their faces; the feat of freezing time: portraying a lively, happy, springtime scene in which you can practically hear the buzz of the giggled chatter, the breeze blowing through the trees and the background music. Now, I’m obviously no art critic and have never enrolled in even the most basic 101-level art history class, but even my humble novice eye could immediately absorb that this piece is truly a masterpiece to behold. What can I say? –I left the Musee d’Orsay positively high on art. –Not all that different, right? Well, there ok there IS a difference, but I wouldn’t say it’s worth the extra 45-min wait time. My husband and I went to the Eiffel Tower on the actual date of our 5th wedding anniversary, so of course I had to go all the way up, just for the sake of it. By the time we made it up the additional lines & elevator que (they cram you into those elevators like sardines, I tell ya), we were kinda over the novelty of toasting a flute of champagne you can buy from their coat closet of a bar they have up there. 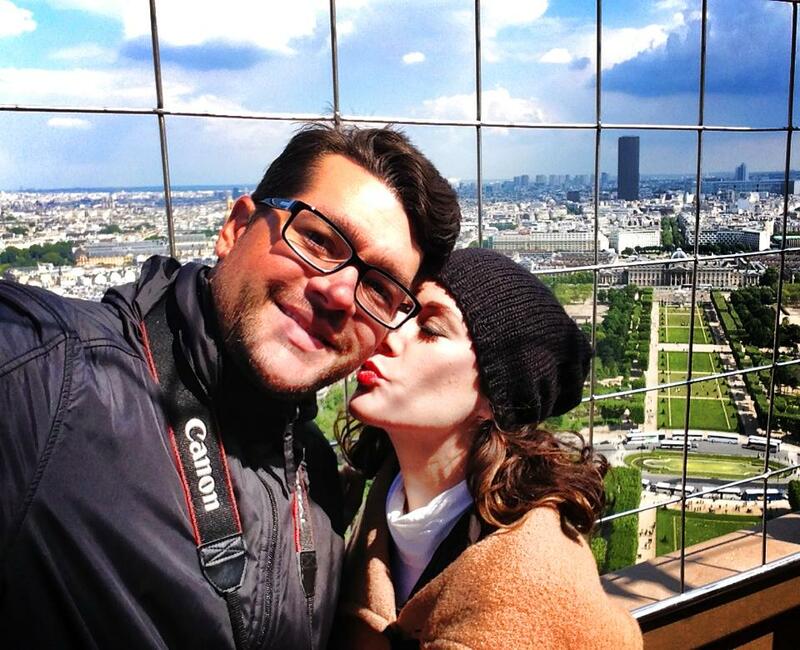 Trust me, you’ll get just as romantic of a visit to the Eiffel if you opt to solely stay on the 2nd floor.